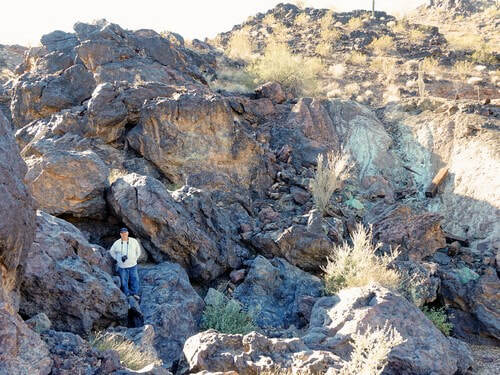 Planet Mine was prospected by Richard Ryland in 1863, and is one of the oldest copper mines discovered by and worked by Americans in Arizona. 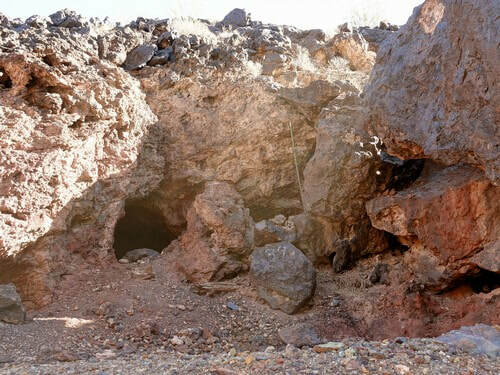 Between 1864 and 1874, the mine produced high-grade ore, ranging from 15 percent to 40 percent copper valued at $500,000. Most of the ore at that time was shipped to Aubrey Landing on the Colorado River, then to San Francisco for smelting. Some of the ore was sent to Swansea, Wales, for smelting. 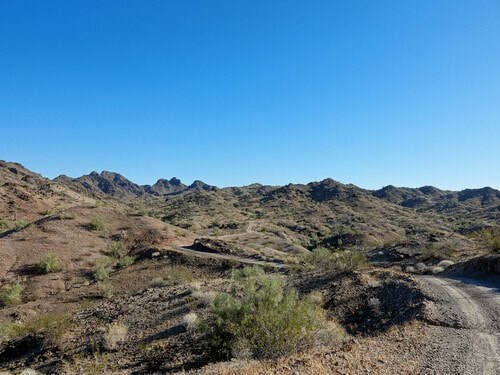 Planet Mine peaked in 1867, with more than 500 miners, and was noted as the liveliest camp next to Wickenburg by the local Prescott paper the Arizona Miner. 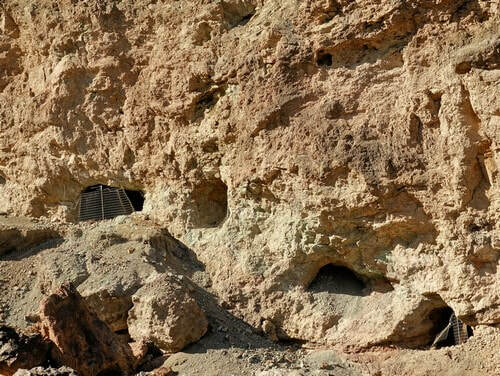 By 1884, more than 6,000 tons of ore had been shipped from the Planet Mine, and the Matilda Mining Co. built a new smelter at the site, replacing an earlier adobe furnace while improving the workings and roads. 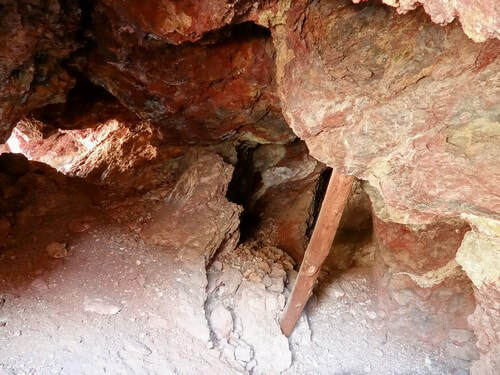 Later mining operations at the site were conducted with several gasoline hoists, a diamond drilling plant and a five-drill air compressor and engine. Several thousand feet of underground workings through granite gneiss, limestone and schist greatly expanded the Planet Mine. 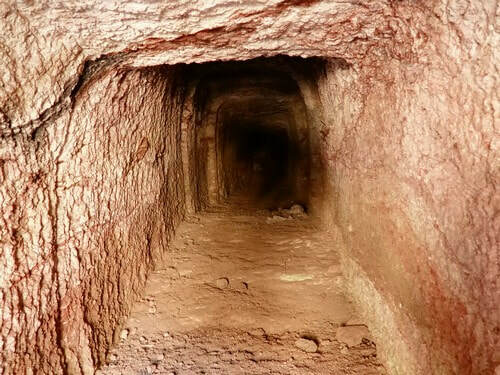 The mine operated until 1917, with the surrender of the lease of the Northwestern Leasing and Development Co. By then it had produced 3 million pounds of copper. Info from Tucson.com. We started this run on the northwest end so we could get an overview of the mine before visiting it. The roads in were very enjoyable. 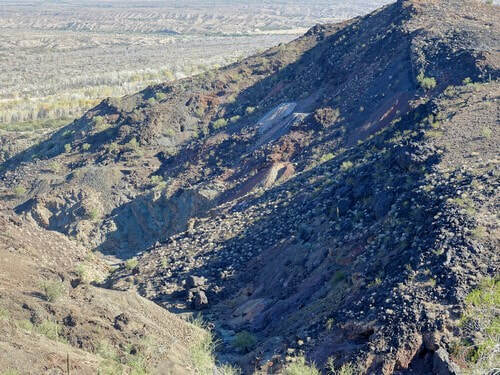 The first spur leads to a high spot that overlooks a canyon peppered with shafts and tailings. 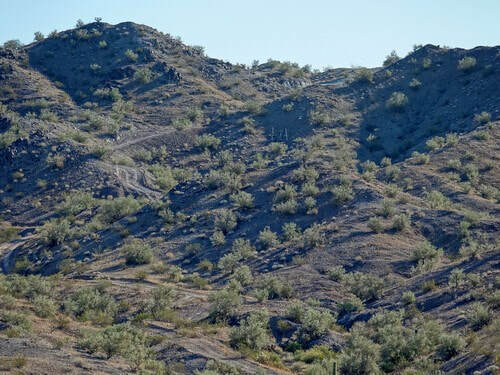 There are dozens of individual mines. The second spur leads down a wash and stops where the wash pours steeply into the canyon. Scramble down into the bottom of the canyon to view many, many mines. It appears all of the shafts were fenced off for safety at some time in the past. Some are now open as vandals destroyed the fencing. It is not a good idea to venture inside them. A telephoto lens can reach inside. The third spur goes to the old townsite of Planet, and stops as the Planet Ranch fence. This probably is the remains of a house from the mining days. Turn around here and follow the track out. ​The mines we visited and photographed were presented to us as Planet Mine. 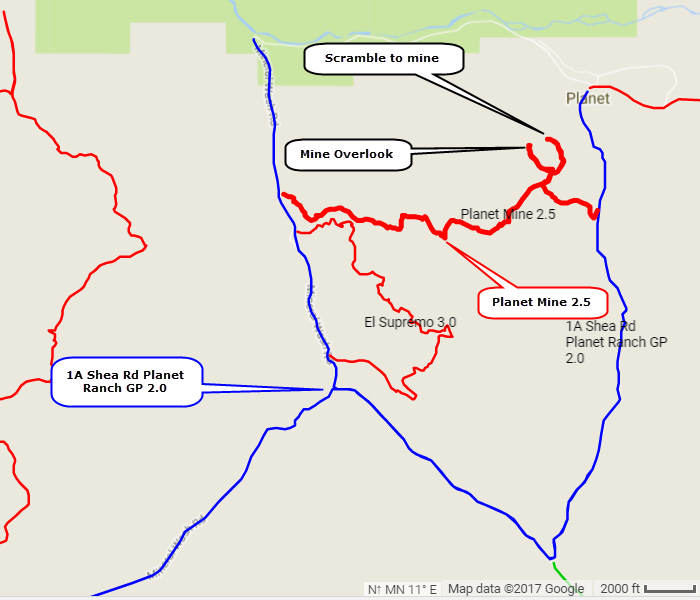 Most maps, including westernmininghistory.com, show Planet Mine to be on the face of the hill above Planet Townsite, not in the canyon we visited; however, mines on the east side of the canyon are in the same hill as the one above Planet. This could mean they are part of a sprawling Planet Mine. The mines were interesting, regardless of what they may actually be named.